OMFG!!! I am completely in love for your closed!! When i grow up I wanna be like u, guys! Fabulous! If only my decorating gear was this well organised. I now have a very bad case of closet envy. Thanks for sharing with us. I love being able to read a snippet about the business every day. I’m in Australia, so I love that I can log on each morning to a new post that has appeared overnight. Very interesting to see how you organize. 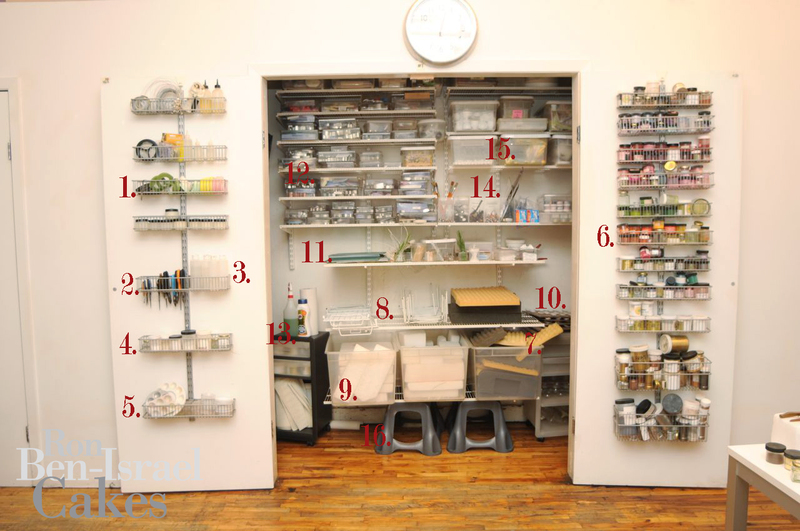 Of course you’ve got lots more fun tools than I have to create with, so I, too, am envious–especially of the drawer you have with the silicone molds you’ve created over the years from designer laces, etc. It must be amazing! Ron’s worked hard to be the best.